You’d think after almost six years, I might be sort of good at traveling. You’d think that I wouldn’t make silly mistakes like booking a hotel that’s miles from the town center or showing up after dark and trying to walk along a main road with no sidewalks. You’d think I would know how to pack for different climates and to protect myself from strong UV. Well, turns out I’m still a pretty terrible traveler. I packed all the wrong things, booked a place that was only accessible by car, got way too much sunburn, and did indeed attempt to walk along a main road that had no sidewalk at 9 o’clock at night (sorry mom). It’s a shame really, because I really liked Playa del Carmen. 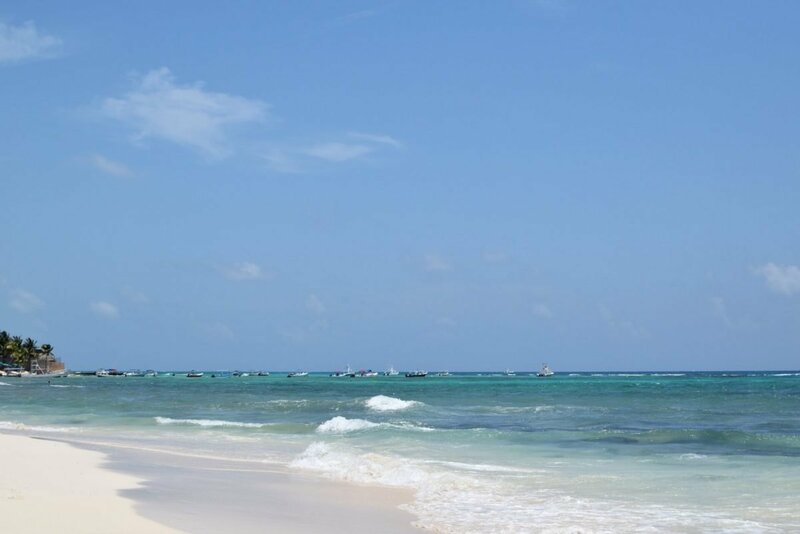 There are so many fun things to do in Playa del Carmen. It’s a beautiful little beach town with a few resorts, funky restaurants, nice people, and some really great street food. Unfortunately, I didn’t have the best time there and it’s mostly my own fault. We took a colectivo (a shared taxi service) from Cancun to Playa del Carmen. We told the driver where we were staying and he told us he would drop us off as he passed the road it was on. When he shouted our stop, we got out of the van. He drove away and left us almost entirely in the dark. Thankfully I had downloaded the local map on Maps.me (seriously the best app ever created) and I brought up our location and mapped out where we were going. Turns out we were still almost 2 miles away from the entrance to our accommodation. So we walked. At first there was a sidewalk. Then soon there wasn’t. I followed the directions that the owner of the condo had given me and soon I was too tired and cranky to try and figure it out anymore. We called the property manager and he came to pick us up from the side of the road. Luke was lugging our heavy bag, our friend was carrying his wheely suitcase over his head and I was starving (aka hangry). We booked our place on AirBnB. It’s the first time that I was genuinely disappointed with an AirBnB place. The location wasn’t anywhere near where we thought it was. It claimed to be only five minutes from the beach. It was almost 4 miles from the beach. There were no sidewalks to get in and out of the complex, so if we wanted to go anywhere, we had to get a taxi (or wait ages for a bus). It meant we didn’t get to spend as much time exploring the actual town of Playa del Carmen as we hoped we would. Next time I’ll definitely be having a look on bric Vacation Rentals. They are the most reputable rental company in Playa del Carmen (I only discovered this after our disaster). They’ll be super honest about the location and they have over 150 properties to choose from. It combines all the luxuries of a hotel while still giving you the space of having your own rental. I’ll definitely be checking this out if we head back to Playa del Carmen. I’ve never had a meal in Mexico that I didn’t like. Until we found ourselves in a bit of a rush and needed to grab food quickly. There are rows of food vendors along Calle 2 Norte near the bus terminal and most of them were pretty busy. They were pumping out amazing smells and the food they were serving looked good. For some unknown reason, we chose the family run one with not a single other diner in it. It wasn’t bad. We didn’t get food poisoning or anything, but the food was so bland. I ordered a beef torta (sandwich) and got a chicken one instead. It’s hot there. Like, really, really hot. And not just hot, but absurdly humid too. As soon as you step outside, your skin is damp. I packed a bunch of cute t-shirts to go with my high waisted jean shorts and I didn’t wear any of them because my jean shorts literally made me feel like I was suffocating my lower body. I brought some cute maxi dresses, but the fabric was all wrong, it was far too heavy. I brought heeled wedges. Didn’t wear those either. Playa is so casual, anything other than flip flops makes you look like you’re way too overdressed. Duh, right? The sun is strong down in Playa del Carmen and I was far too concerned about trying to get a tan. Your best bet if you like going in and out of the sea is to make sure that your sunscreen is waterproof, because that’s definitely where I got the majority of my sunburn – while standing in the ocean. We’ve been back over a week and I’m still putting aloe all over my body. Playa del Carmen is a beautiful beach, even better than Cancun in my opinion. 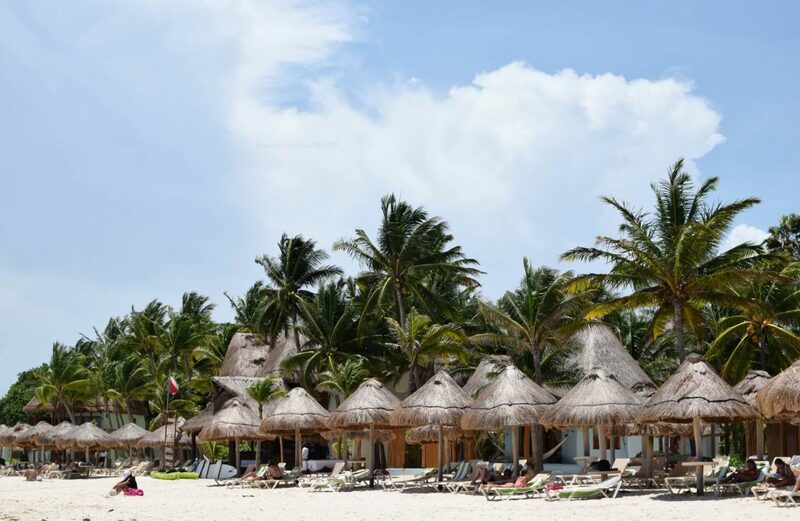 It’s quieter than Cancun, but there are still plenty of places to eat, drink, and shop. It’s much more condensed than Cancun and you can walk almost anywhere (except to our accommodation). 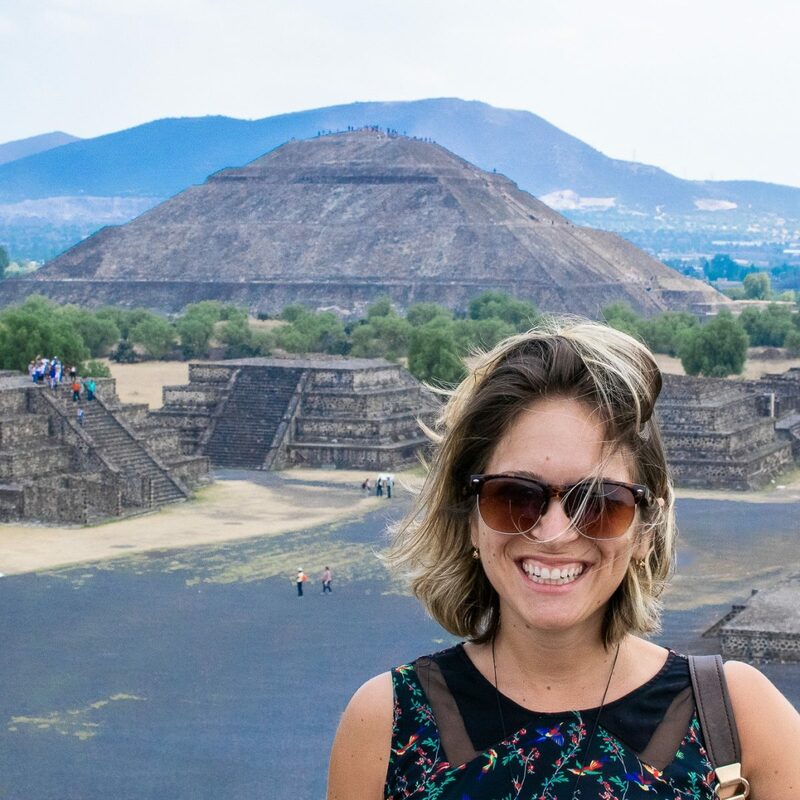 There are tons of places to try different local Mexican dishes as well as a few places to grab pizza, burgers, or healthier options when you want a break from tacos (said no one ever). 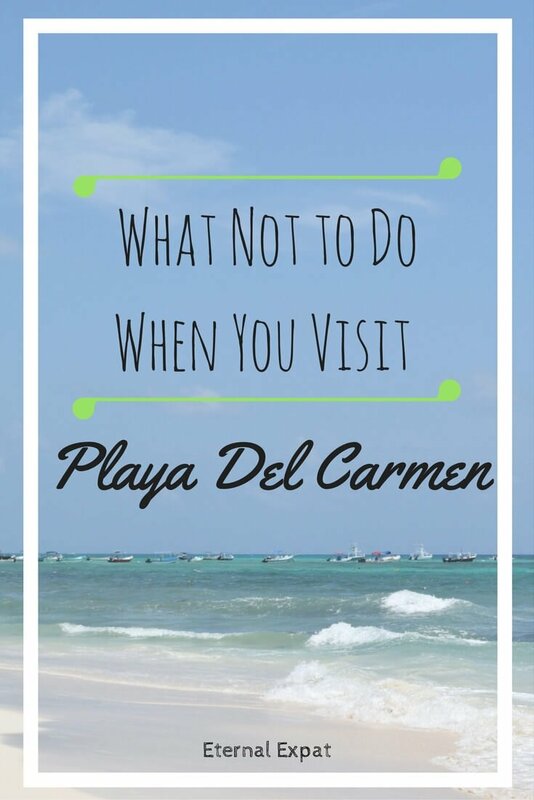 So get yourself to Playa del Carmen and don’t make the same mistakes I did. Sometimes, despite preparation you wind up making errors you had not foreseen. Other times, we’re just not thinking or planning things through. Great comments – sorry your accommodation was misrepresented. Location is everything when you travel!